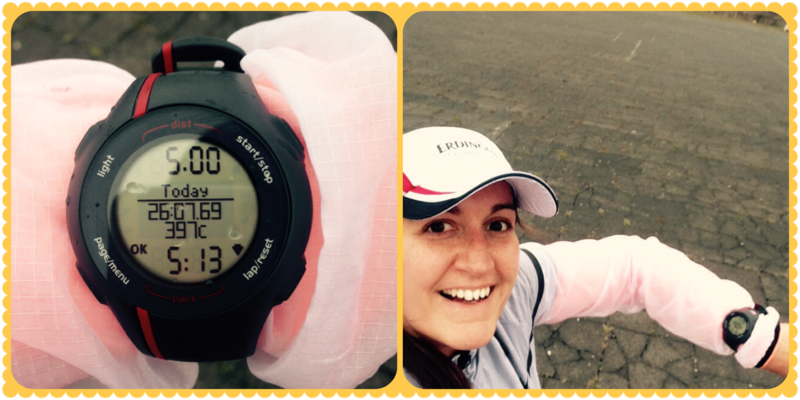 Week total: 48.24km… and I keep surprising myself! When you think you can’t, you go faster! Ha! Day 15 – Monday 15.12. But: Whoooppeee!!! My fastest 5km ever! And I felt like flying pretty much the whole run! Where did it come from? I want more of this! Was it before I “stole” Mathes’ race cap? Maybe I should only run in his cap from now on! Day 16 – Tuesday 16.12. The plan was to go for a run with Ela before she goes for Christmas to Poland. But Ela had a company Christmas party the day before. I knew the early morning run wasn’t going to happen as soon as company Christmas party was in the picture. These always end up messy. And, what a surprise, Ela called me in the morning that she spend the whole night on the toilet and she doesn’t think her stomach would enjoy the morning jog. Ojojoj! So it was me & me again. Day 17 – Wednesday 17.12. Jens chose a really lovely route along the water canal, in Tiergarten park, along Brandenburger Tor. The weather was perfect and I was promised a nice breakfast at the end of the run. One would think this is the perfect combination for an amazing run. Well, my legs didn’t think that and I huffed and puffed the whole way and when we got back home and I jumped in the shower I was super happy. And after breakfast I went to bed. Hmm! Day 18 – Thursday 18.12. It was so warm outside! Actually even too warm for what I was wearing. Thursday was my presents wrapping day. I love wrapping presents. It is one of my favorite things about Christmas. I surround myself with all the presents, papers, scissors and ribbons, make myself a chai tea and get creative. You can imagine, I had to REALLY force myself to abandon my creative mess and go for a run. 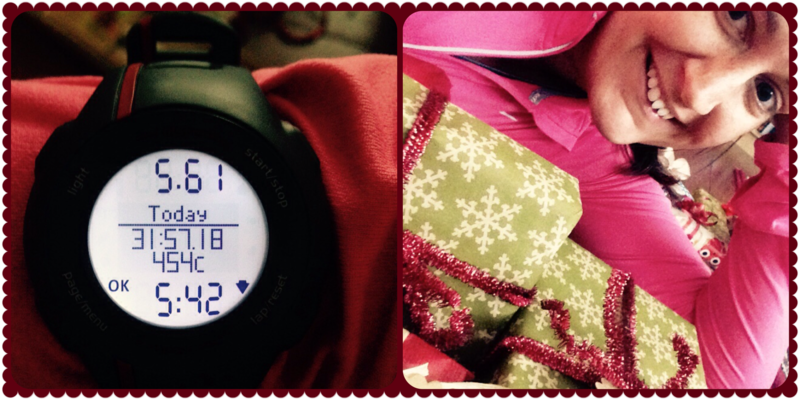 I only ran a small lap on “my” airport and hurried up back home for more tea and more presents wrapping. Day 19 – Friday 19.12. When I asked Matthes what’s the weather outside before we went running he told me: “Perfect running conditions.” Well, ehm ehm, I’m not so sure about that! Today’s run wasn’t really a run it was more of a wind battle. Either we were struggling to keep moving forward or, when we had tailwind, we were almost taking off and flying. After runs like this I feel super energized even thought this is the last thing I’m thinking during the actual run. Day 20 – Saturday 20.12. I wasn’t planning on going to the gym! My plan was to go outside. I swear. But I kept postponing the run, postponing and then, when I was ready to go, the sky went dark and a gigantic lightning lit our whole living room. I decided that running in a storm in an open air space isn’t the best idea and went to the gym instead. 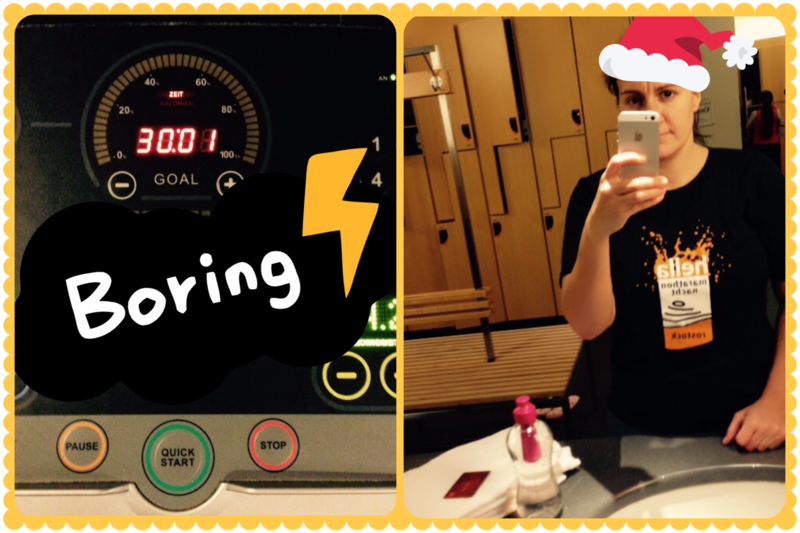 I was trying to push the clock on the treadmill to go faster… and I was sooo happy when the 30 minutes were up! Running on treadmill is so boring and I don’t understand how I could have enjoyed it in the past. But at least the swimming, after the horrid treadmill, was lovely! 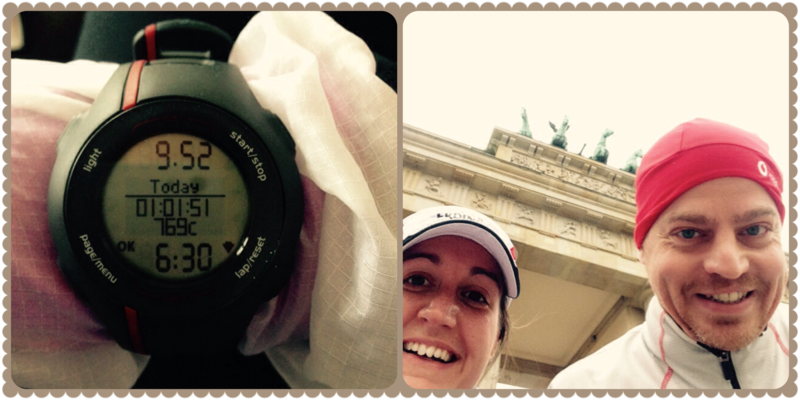 Day 21 – Sunday 21.12. We are going to Prague today! Yay! We got up early in order to “get the run out of the way” so I could do some last minute baking, we could finish cleaning the flat and pack before we hit the road. And it was a lovely run and the sun came out. Perfect goodbye from Berlin! Three weeks of running done and now only 4 more days. On one hand I can’t wait to have a day off but one the other hand I think I will miss this every day malarkey! 4 more runs to go. 3 of these will be in Prague and 1 in Northern Germany. It will be great to have some new scenary. 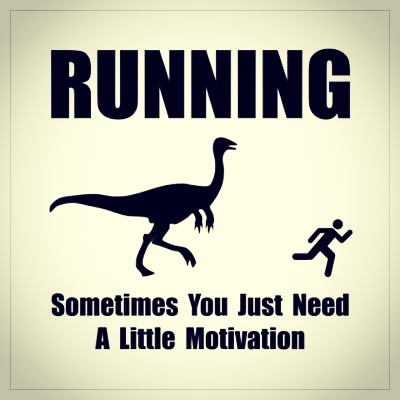 And all you other people and other AdventRunners – how’s it going??? How was your week??? P.S. Ela is still running except now she is in Poland so it’s hard for me to keep an eye on her! P.P.S. Robert is turning into Forrest Gump. 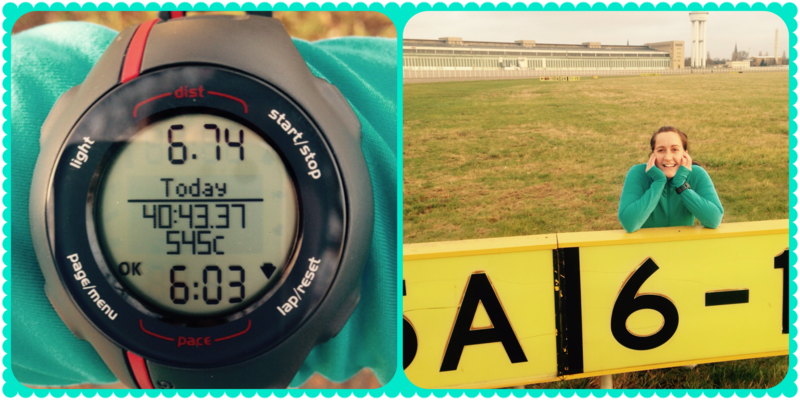 On Saturday he ran 33.3km. Crazy! P.P.P.S. Honza… well… right now I am trying to organize for us to go running tomorrow and he is not answering his phone. Hmmm! Great job! Have a great time in Prague!